From Argentina, Aeuphoria released Æthernal Velum back in January. It’s a pretty good albeit rather normal technical death metal album. What does set them apart, however, is their penchant for atmospheric passages on a few tracks, but they would gain much by developing the atmospheric side of their sound and embedding it in their tech-death songs as well so they don’t sound so bland. The new Haken album, Affinity, is a pretty good progressive metal release. It doesn’t do anything groundbreaking, and not all songs are good at all. For example, “Earthrise” feels like a cheesy 80’s pop song with some riffing added to it, and “Red Giant” is just weird and doesn’t get to me at all. “The Architect” feels like it’s going nowhere with its song structure, but songs like “Initiate” and “The Endless Knot” are the best ones on the album, the latter being my favourite. 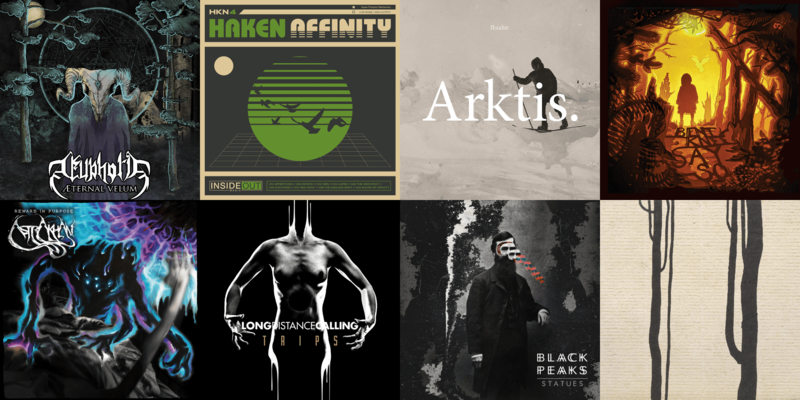 Ihsahn‘s Arktis. is out, and it doesn’t follow where Das Seelenbrechen left at all. While I adored the first part of this album, the second one, more airy, experimental perhaps, lost me. Arktis feels like a stronger, more cohesive chunk, but also less jazzy, more traditional prog death. It’s still very enjoyable and good, but less surprising. Say So, the upcoming Bent Knee effort, is really an outstanding album. I’ve just recently got into the band, and what a time to do so! All the songs feel unique in a very Bent Knee kind of way, with groovy beats, genre-hopping, and exuberant singing. Truly a must for fans of experimental prog or art rock! Standing as a singular, 9-part piece of music, Astrakhan‘s Reward in Purpose is a pretty energetic progressive death metal album with something of a stoner metal touch to it. It dwells on post-metal mindsets as well, and, despite the length of the album, doesn’t feel overstayed. It’s a promising debut album for the band. The prog rock act Long Distance Calling releases their new album, Trips on the 29th of this month. It’s a very good, alternative-sounding rock disk with prog tendencies. Prog in, perhaps, the same way the band Muse are seen as progressive. It’s memorable and easy to approach and digest, yet remains interesting. Black Peaks just released Statues, an alt metal kind of album with elements of progressive metal and mathcore. It makes for a pretty good record, reminiscent of the smoother songs from The Dillinger Escape Plan, and the ones where they have those kinds of vocal melodies. It’s a well-made mix. And finally, Geryon released The Wound and the Bow, the second album – first full-length – of the avant-garde death metal band. Dealing loads of low-pitched gnarly riffs heavy with dissonance and scarce vocal presence, it’s something you should not miss. On	April 9 2016, this entry was posted.